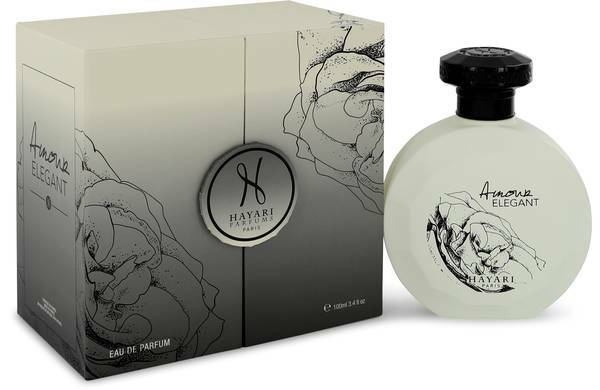 Hayari Amour Elegant Perfume by Hayari, For an elegant bouquet of floral and spicy fragrances, you can't go wrong with Hayari Amour Elegant . Grasse rose and oakmoss twine together to prevent either scent from overpowering their individual aromas. Below those top notes you get whiffs of patchouli, chamomile and leather for an experience reminiscent of herbs and adventures. This eclectic combination makes for a unisex blend that appeals to all. It was released in 2015 as part of the Exceptional Read More Read More Rose Collection. The beautiful curled "H" of the Hayari brand is already known for creating stunning gowns that have adorned the likes of Beyoncé, Nicole Kidman and even some royalty. In 2011, the company began selling perfumes and they're already a big hit. Since then, over a dozen perfumes have been released that weave together French style and Oriental aesthetics. These perfumes come in men's, women's and unisex options with inspirations ranging from florals to modern art. All products are original, authentic name brands. We do not sell knockoffs or imitations.